Want to improve your ability to influence and persuade others? Most people tend to approach persuasion with one or two favored tactics. But really great influencers consider the situation and the people they have to persuade. Then they combine influencing techniques in an order that helps them be more effective. Let’s look at seven influencing tactics that, when placed in the sequence, can combine to make a powerful influencing strategy. 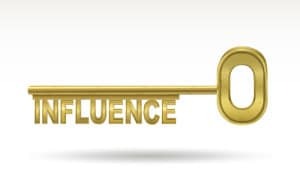 Below are seven keys to help you influence and persuade others. “Reason” is the most effective (and most often used) method to influence and persuade. It is one we often use in isolation rather than as part of an influencing strategy. It involves explaining the facts and demonstrating that these are consistent with shared objectives. It is a tactic that can be used with people of all levels of power. It is characterized by the word ‘because’. When using “Reason” opt for quality over quantity — otherwise your opponents may focus on your weaker reasons. “Inspire” is a tactic that works with people’s emotions. It is about being enthusiastic and painting a picture of a better future. It is important to use active language that helps the listener use all their senses and visual the ideal situation. When using Inspire it is important that the ideals, values and emotions you suggest actually appeal to the audience. Remember that we don’t need to be famous to inspire others; we just need to choose our words carefully. If we use powerful images and are passionate about our message we can inspire our managers, our coworkers, or our team. “Ask” is often used to create buy-in and make people feel that they created their own solution. This technique can be especially effective with people of greater power. To use this technique, the influencer explains the current situation, avoids providing solutions, and then asks the other person how to solve the problem. Interviewers, journalists and lawyers often use this technique, and so do parents. The influencer considers which questions would give an acceptable response. Car salespeople often use this technique. But using “leading questions” can also backfire. Ask is most successful when the question is sincere. In that case the other person will persuade themselves to work with you if you seem willing to work with them. “Get them to Smile” is a tactic that makes people feel good about themselves, and then about our argument. GTTS is about offering compliments or putting someone in a good mood. Telling jokes or finding other ways to build rapport are subtle ways of using GTTS. While this tactic can be very effective beware of overusing flattery. If we always compliment someone before asking for a favor, they’ll begin to distrust us. Or they may think we’re flirting. GTTS is a very effective tactic but it should be used sincerely and sparingly. “You were terrific doing that report last month, we’d love to have you do it again is an example of GTTS. “Make a Deal” can be overt — “if you scratch my back, I’ll scratch yours” or covert – here’s a free gift or dinner for you. Researchers have found that even small gifts can yield results. People cleaning windshields at traffic lights or giving out paper flowers in train stations all use “Deal.” When others give us a free hat or keychain we may feel more compelled to give something in return. This is why we say, “There is no such thing as a free lunch.” “Deal,” whether covert or overt is a good tactic to add to our arsenal. “Requesting a Favor” is the most basic tactic. Simply asking for a favor is sometimes all that is needed. Especially if we are trying to persuade a friend to help us. But if we rely on the magic word, “please” too often this tactic loses its power fast. “Mentioning Silent allies” is a tactic used by businesses when they talk about their other clients. People are persuaded if they think a product or service is popular. Name dropping these “silent allies” can help us persuade. Two other tactics are far less effective – using our position authority or using punishments or penalties to force someone to go our way. Far better to use a strategy of several of the seven stronger tactics since authority and force do not lead to lasting results. Line up the tactics in the order you feel will work best for your situation. One woman was desperate to persuade her husband to learn to swim since they lived near a lake. She tried giving reasons but this didn’t work. Then she tried to inspire: “Just imagine being able to swim with the children!” But the husband wouldn’t budge. Then she tried to make a deal, “If you learn to swim we can go on vacation to the Bahamas.” The husband still wouldn’t cooperate. The wife begged for a favor: “Please do it for me, I’m so worried about you and the kids.” Finally she tried the tactic, “ask.” “What will it take for you to go to swimming lessons?” This last tactic worked. The husband realized his deeper fears and sought help to overcome them. Next time you seek to influence or persuade someone at home or work, remember these seven tactics. Stretch yourself to go beyond your default approaches. Soon more situations will yield to your persuasive skills!